1 – Quantify and qualify. “I want to lose 15 pounds.” “I’m going to run a marathon.” “I’m going to do better in school.” All great resolutions – but resolutions likely to be broken. Why? Because they’re generalizations without parameters. As your family sets resolutions, encourage everyone to not just set the resolution, but to set the path to attainment. For example, if your child resolves to “do better in school,” help them to set the path to accomplishing that goal as part of the resolution. That might include a pledge to study X minutes each day or to review their math homework with you each night. That path makes the goal a by-product of healthier, better habits – and helps your child to achieve that goal among other things. 2 – Make it a challenge, but not impossible. Nothing kills a resolution more quickly than making it unattainable. Children, in particular, have a tendency to set resolutions based on wants more than anything else – and those wants often come without ceilings. Help your children to set goals that are a challenge, but that are also attainable. That doesn’t mean crushing a dream – it means coaching them through building that plan to achieve it (see above) and mapping out the proper end point. 3 – Don’t just throw it out there. Perhaps most importantly is to set resolutions that you actually have the intention to complete – not just making one that you feel you should make. For example, do you really want to run that marathon? Or are you really just looking to get back into shape and do a better job of taking some you time? 4 – Make it something you can do. To succeed with a resolution, you need to be able to control your progress. For example, if your child sets a goal to make the travel soccer team, completing that resolution isn’t entirely in control. However, they can control how often they practice and whether they try out – whereas the decision on the team’s final players lies with the coach. So instead, make the resolution focused on what you yourself can control and affect. In a nutshell, help your family to make better, more achievable and likely-to-succeed resolutions this year by putting in some thought and planning ahead of resolution time. 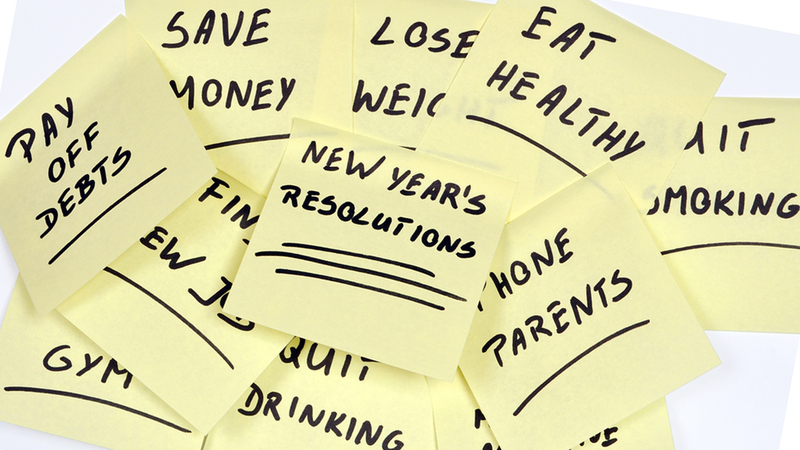 Resolutions can be fun – and they can be attainable. Guide your children through setting quality goals and watch them experience the joy of success this next year.